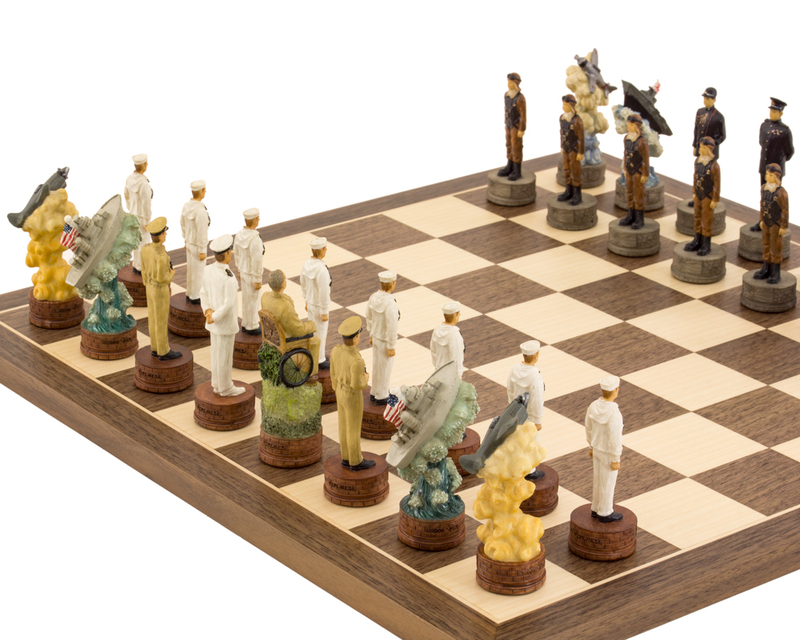 Presented on a beautiful 15.75 inch Spanish board. 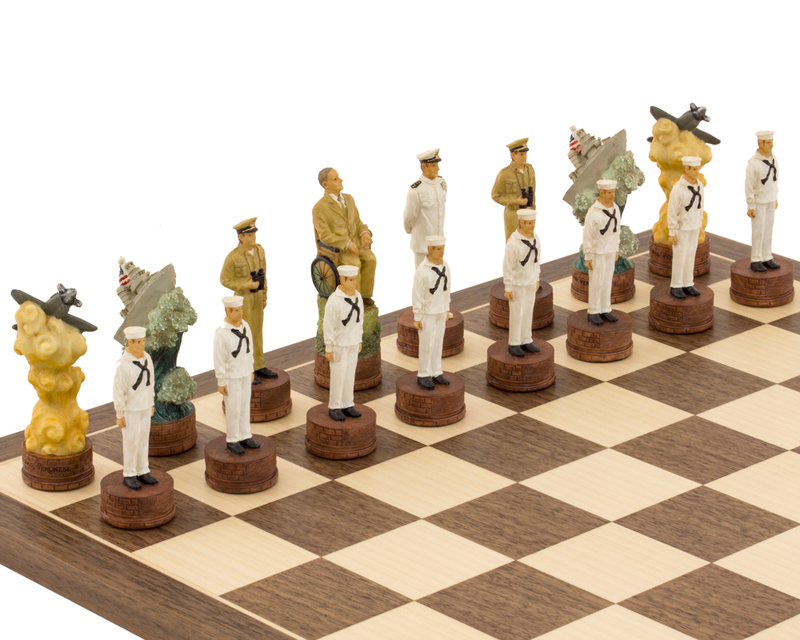 None other than Franklin Roosevelt makes an imposing King in this wartime set of pieces with, what we believe to be, a Vice Admrial of the Navy as his second in command. 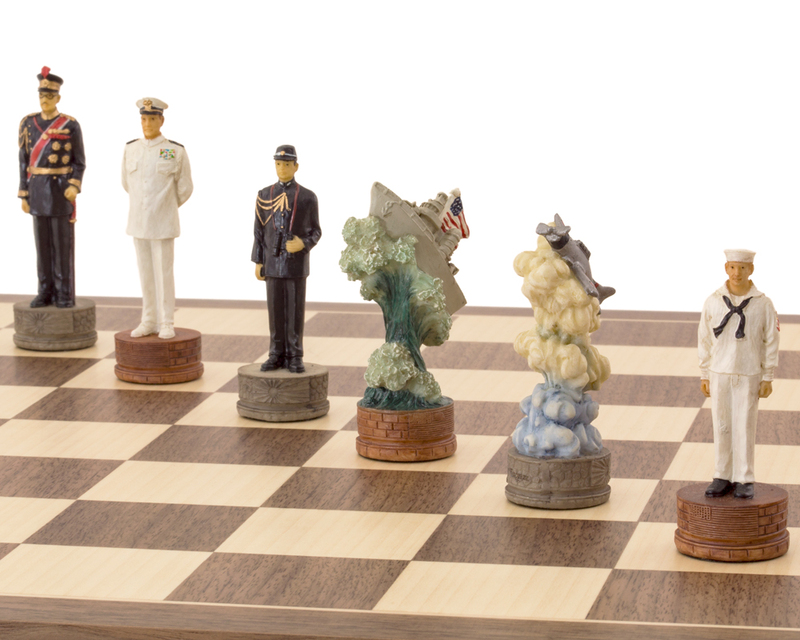 Navy and army personnel make up the pawns and bishops respectively but it is the US destroyer riding the crest of wave and fighter plane against a plume of smoke that are the unique pieces in this contingent, representing the knight and the rook respectively, that catch the eye. 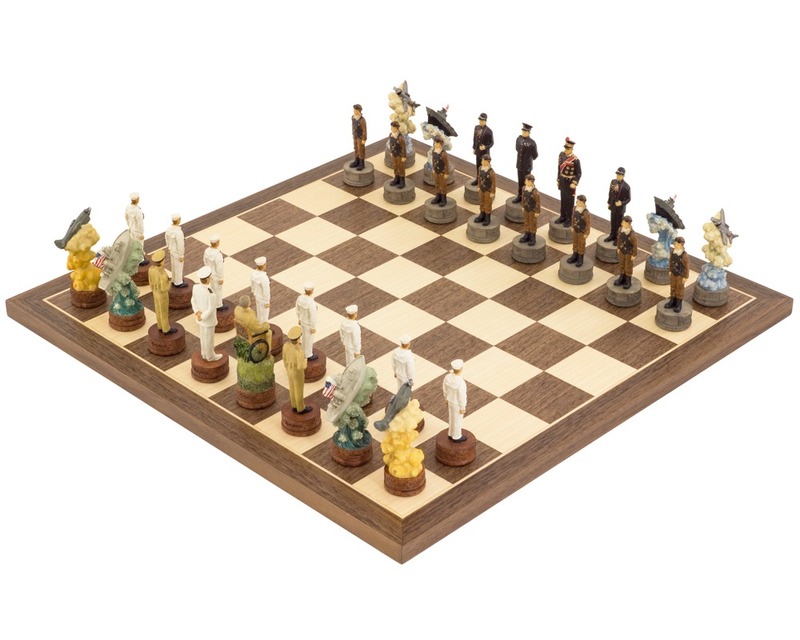 These stunning historical pieces are matched with a beautiful walnut and maple 15.75 inch board from the famous Rechapados Ferrer of Spain making it a very enviable chess set. 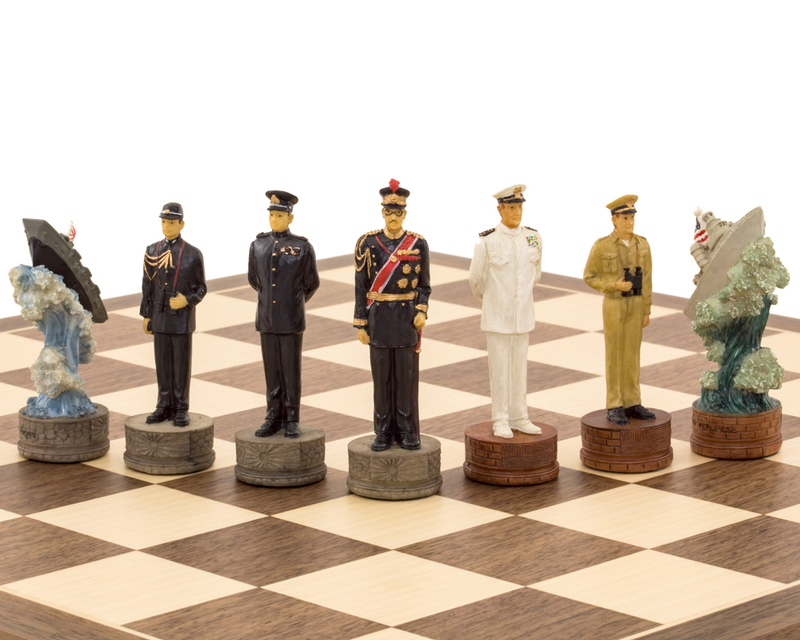 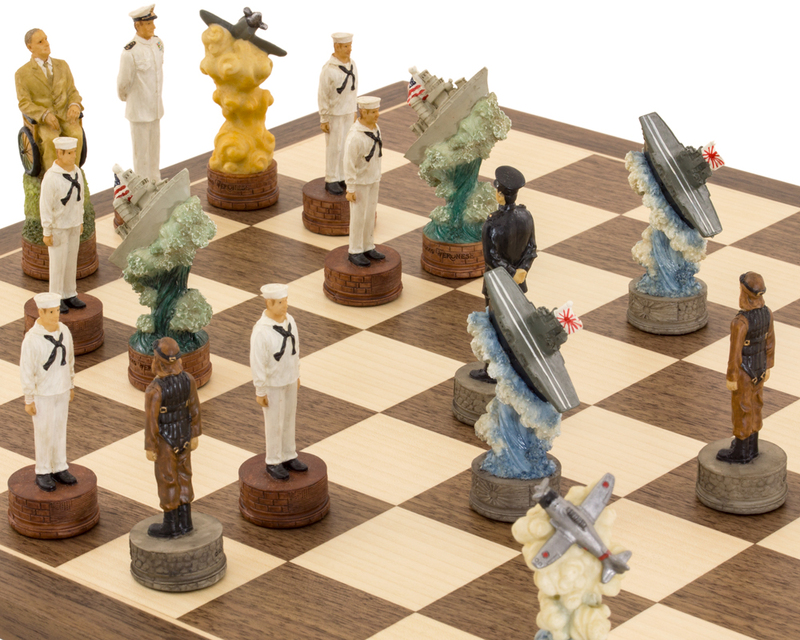 The Pearl Harbour Second World War Hand Painted Themed Chess Men are also available separately. 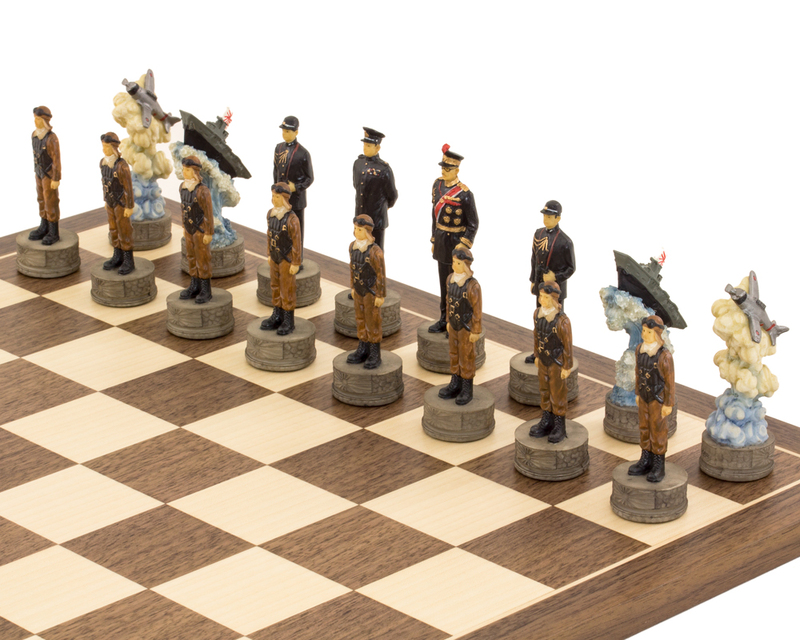 Either way, this makes for a perfect gift for any WWII or chess enthusiast.